I wandered aimlessly for hours, the quintessential tourist wanting to hold and press each experience between the pages of a mental travel memoir. I spent the better part of a day walking the historic boardwalk in Atlantic City, N.J., having been drawn there by my desire to see a Monopoly board come to life and visions of the 1964 political convention that aimed to heal a party, if not the nation, following the assassination of John F. Kennedy. Forget that reality TV Jersey shore garbage and Iowa Caucus speculation — this was where Frank Sinatra had crooned in the Copa Room of the Sands Casino and Marilyn Monroe had judged the Miss American Pageant in the Depression-era Claridge Hotel. Flakes of history invaded and overwhelmed my senses as easily as salt from the sea, but, in retrospect, perhaps my expectations were too high. 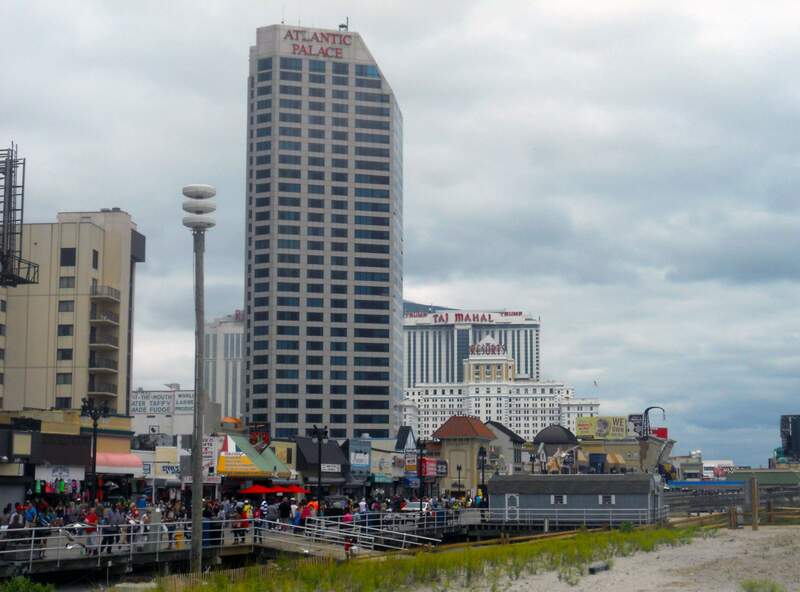 Driving out of Atlantic City, I did not relax in the quiet contentment that so often follows a day of connecting to the past. Instead, I shifted in my seat, anxious and disappointed by the experience. Similar feelings settled over me after reading the McClatchy syndicated report on Atlantic City in Sunday’s Nation/World section of The Gazette. My biggest mistake was going to Atlantic City with a firm grip on the past, but little knowledge of current events. A little reading would have alerted me that it wasn’t necessarily safe for a woman traveling alone. I wouldn’t have been surprised by the conversion of an abandoned field where the Sands once stood into a makeshift homeless village. The boardwalk and area immediately surrounding it — mostly the tourism district, as established by Gov. Chris Christie — was fairly stable and safe, although just weeks before my visit two Canadian women were stabbed to death at 10 a.m. in the morning outside of one of the casinos. The Taj Mahal Casino parking garage was the scene of two fatal carjackings in as many years. I learned of these incidents after my visit because I’d been too wrapped up in the past to consider the present. 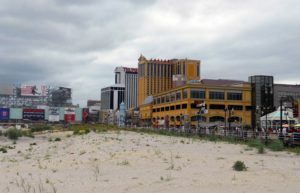 Ironically, it seems New Jersey and Atlantic City leadership suffered the opposite problem and remained too focused on their current, if diminishing, stream of gambling revenue to fully consider the future. If I’d chosen to park closer to the boardwalk or the high-end retail shops, I would have remained unaware of some of the more unsavory aspects of the city. But what I saw in those first few minutes in Atlantic City altered my perspective. The Revel Casino, which had only been open a few weeks at the time of my visit and has since been shuttered, offered a four-story escalator to a gambling floor. Cascading pieces of oversized golden glitter sparkled from suspended cables beside the escalators. Colorful carpets, furniture, murals and lighting fixtures were nearly as loud as slot machines. Upstairs, posh hotel rooms in a palette of dark wood, shiny metals and white bedcovers offered miles-long views of the ocean. Celebrity chefs cooked, burlesque girls danced and retailers offered handbags with price tags above my credit card limit. I should have stood in awe of the opulence, but all I could feel was shock at the obscenity. A few blocks away, a group of people gathered near a fire in a rusty 50-gallon drum. Of all the experiences I pressed into my travel memoir, that’s the one I most often take out and examine. I take it out each time I drive through the town of Riverside, with its lackluster USS Enterprise, deteriorating downtown, and fountainized casino just down the road. Sure, they got a new Kum & Go by the highway, but so did Marion, which has no so-called economic stimulant. I imagine there were some readers who were curious, or maybe even a bit furious to open their Sunday paper and find so much space given to Atlantic City. If I’d not already banked personal experience connected to the location, I might have been too. But what Atlantic City taught me, and what I think it can teach us all, is that a single economic solution is ultimately no better than none at all. 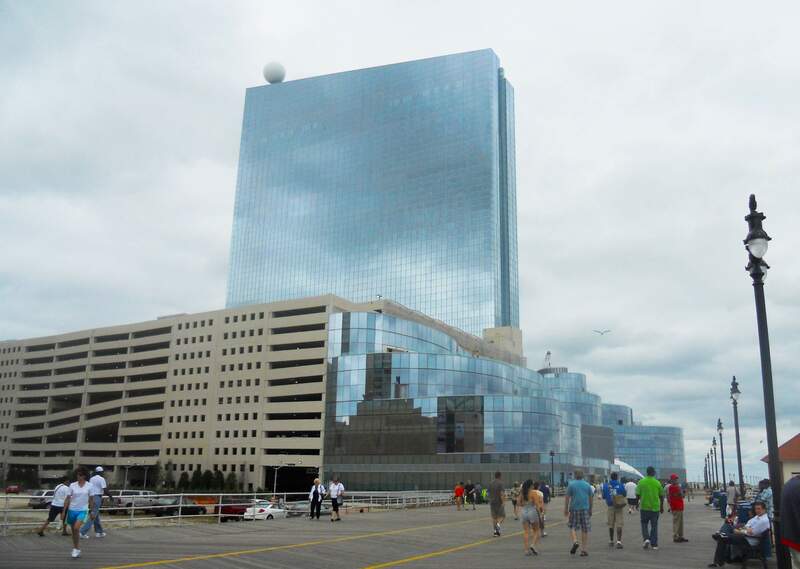 Christie earmarked more than $260 million in state tax credits for the Revel. The facility is now in a process of being auctioned and the top bid thus far is $90 million, far less than the state’s potential investment and only 4 percent of the $2.4 billion development cost. And even as investors swoop in to take control of the property for pennies on the dollar, Christie and state leaders are poised to make another wager. Two months ago, Christie vetoed legislation that would have brought sports gambling to New Jersey. At the time, he cited a want to adhere to federal law, which permits such regulated gambling only in Nevada, Montana, Oregon and Delaware. 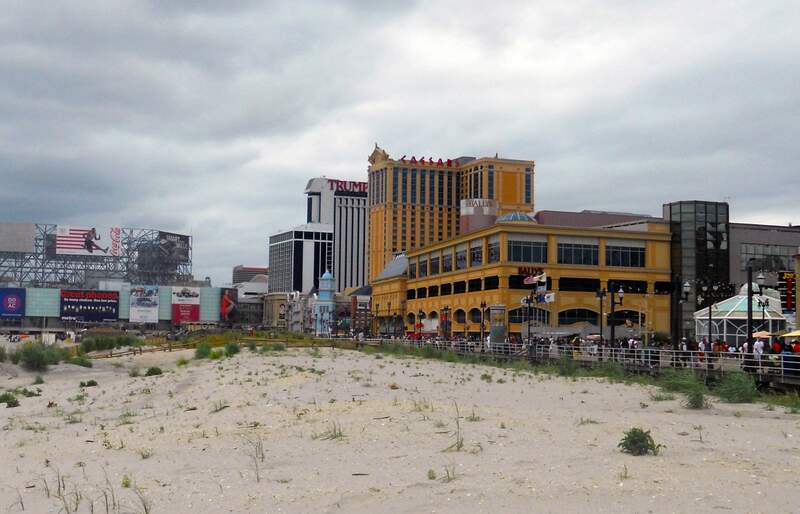 At that point, however, only one of Atlantic City’s 12 casinos had closed. 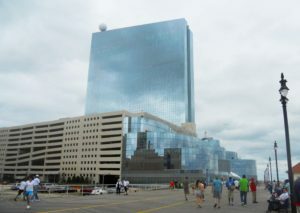 When three more, including Revel, announced their impending closure, Christie reversed course by having his attorney general issue a directive allowing sports betting through deregulation — that is, striking down the state bans on it. The directive is currently awaiting a decision by the federal courts, which is tentatively scheduled for Oct. 6, and most legal experts are expecting the maneuver to fail. This column by Lynda Waddington originally published in The Gazette on Sept. 30, 2014.